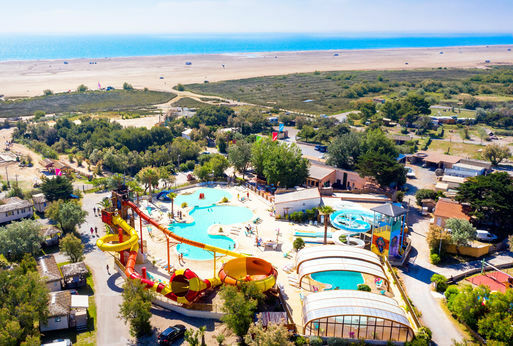 Camping Côte Vermeille is located in Port-La-Nouvelle, in the south of France, near the Cathar Country, at only 250m from the beach. 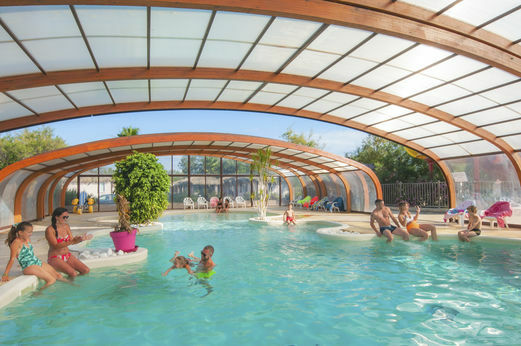 The campsite offers customized mobile homes with a tropical atmosphere and a beautiful pool area with a large pool, one covered pool, water slides and also a large Carabouille playground. Come and try the SpaceBowl waterslide ! Famous for its kite surfing and fun board spots, the area offers both many natural as well as cultural discoveries. 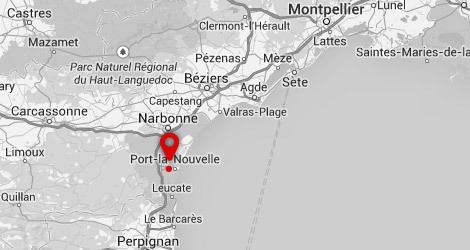 Try kite surfing Barcarès Leucate, or treat yourself to a visit to the African Reserve in Sigean! On this campsite the Fun Dose is red. This means there is a lot of entertainment! 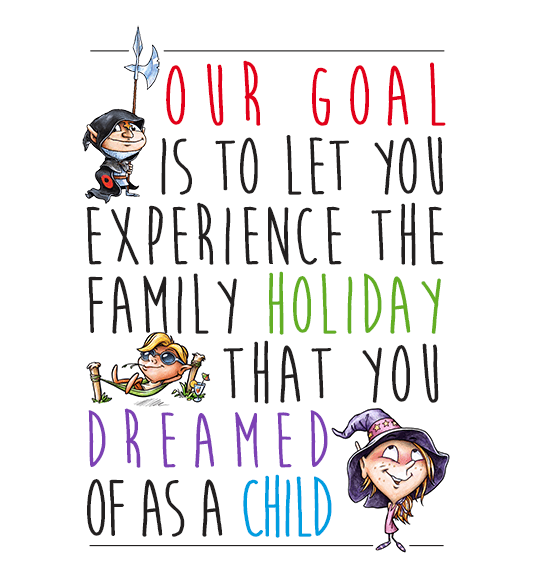 The Clapou Club (4-6 years old) and Policator Club (7-10 years old) welcome children from Monday until Friday, from 10am until 12pm and from 3pm until 5.30pm. The Dragonicums (11-14 years old) and the Nobodys (15-18 years old) meet up four times a week. We offer evening entertainment 5 nights a week, 4 animators, aqua gym every morning and an almost non-stop super fun day and evening program until midnight! 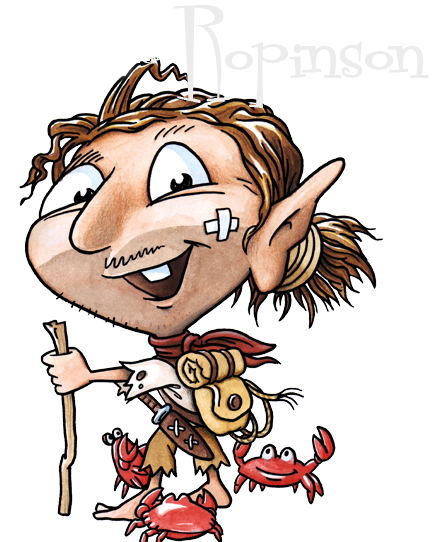 Join Ropinson and his crabs on his island full of wonders! After being pinched by Ropinson, Carabouille made his boat land on a desert island. Thankfully ‘Samedi’ and ‘Repeat’, the parrot, were there to keep him company. Go on a discovery trip to the mysterious island, find the treasure and try to take a peak at the sailing ships from the top of Ropinson’s tower! Pinch-Me and Pinch-Moo are on a boa, Pinch-Moo falls into the water, who’s left in the boat? 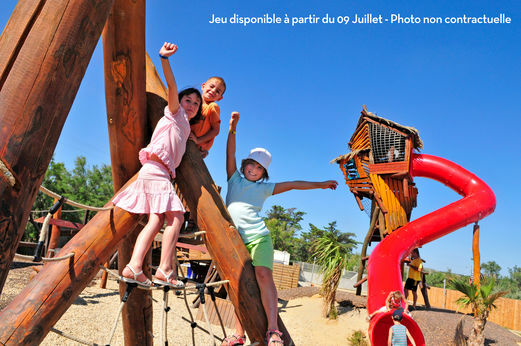 L'espace aquatique est super et les animations et spectacles sont de qualités.accès à la plage directe .l'équipe était vraiment très agréable et souriante. Bel endroit et belles infrastructures. personnel souriant et très sympathique, mobilhome bien équipé et conforme à notre attente et pas de perte de temps à l'arrivée et au départ. Très bon accueil et équipe fort sympathique ! pleine de bonne volonté et d'enthousiasme ; joyeuse à souhait ;ça fait plaisir ! Très bonne animation. camping bien situé. très bon accueil. Améliorer la literie surtout les oreillers. peut-être fermer plus tard la piscine.